Charities need to raise money in various ways to make sure they are able to cover costs and help those in need. Buying a bulk amount of cost effective items with your logo on and selling to supporters is a great way to raise funds as well as increasing the awareness of your cause. Some companies may also offer you deals and discounts to get the bulk items cheaper, making it even more low cost. Perfect items for this are pens, buttons and badges. These are held up and down the country all year round, and are not only a great way to get your charity name out there and raise money, but a great way to bring the community together and add value to your local charity brand. Selling coffee and cake, and collecting donations, is an easy way to fundraise. You could also host a raffle, or sell promotional mugs with your charity name and logo printed on them. 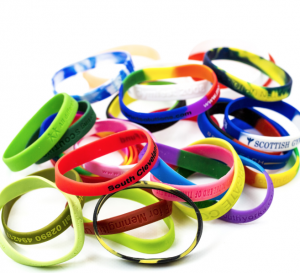 Selling colourful and eye catching wristbands is a fun and easy way to raise money, whilst also increasing your brand awareness. As people wear your logo and named wristbands, others will see your brand and be made aware, further helping your fundraising efforts. These small, lightweight bands appeal to all age groups, making them the perfect product to help you raise money no matter what your charity. If you need help with your fundraising effort, contact us today to see how our merchandise can help you raise money and awareness for your cause. Building a buzz for your brand is a powerful way to generate awareness and promote your business, and to increase the interest of potential customers. There are a number of tactics you can use to build your brand buzz, and using merchandise such as badges is a low cost way of doing this. As badges are extremely low cost, giving them away is a great way for your business to get your brand out in the hands of potential customers whilst keeping costs low. Also, offering free merchandise is a great way to start building customer relationships, showing that you’re there to help them. This also helps increase brand visibility when customers wear their free badges on their bags or jackets. With the rise of bloggers for every industry and market, they are a great way to get your brand heard amongst competitors. Bloggers are people that run blogs, and you can often team up with them and offer them your badges for free, where they can write content about you for their readers to see. This helps get your brand out there to a large audience. If you are a business to business company, gifting them your badges is a great way to get your brand promoted to a wider audience, as well as strengthening your business relationships. This is because people feel happy when they receive something for free, as well as feeling appreciated. Of course, you can send these to other businesses within your industry, not just those that you already work with. It’s easy to build a brand buzz with personalised badges, and with their smaller size, low cost and creative design, it’s a great way to get a competitor edge and get potential customers excited about your company and the products/services that you offer. Get in touch today to see how our badges can help your business. We make a variety of products that are suitable for fundraising. These products are a great way to create awareness and raise much-needed funds for your charity. Charity Badges are the UK’s most popular fundraising product as they are proven to be cost effective, and generate a good income. 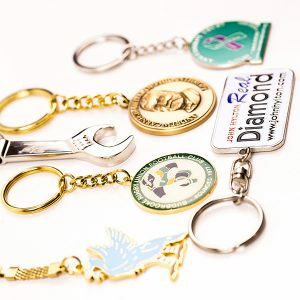 These are great products, as they are customised with your logo, meaning that they are seen by a large audience and will build your brand presence, helping you to raise funds for your cause. They are low budget, meaning that charities make a fantastic return on them, as well as being hugely popular as people love wearing badges. 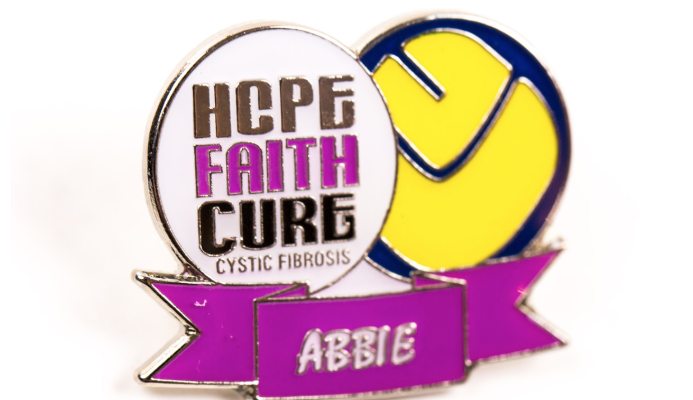 I4c Publicity also offers backing cards which are a great addition that attaches to your charity badge, which can be used to describe the details of your charity. 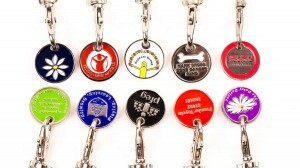 Trolley Coins are a great way to increase your fundraising efforts as they are used often in everyday life, meaning that they have high exposure to users. They can be used for supermarket and airport trolleys, as well as changing room lockers. This is a practical item that will be seen by people on a regular basis, helping your fundraising efforts. Everybody loves stationary, which is why pens and pencils are so good for fundraising for Charity. Their vibrant colours and simple lines are ideal for any message, that will be in view of people on a daily basis. People are guaranteed to keep and use pens and pencils, meaning that they will likely make a huge impact and your charity message will stay on their minds. Not only this, but pens often change hands, meaning your message will reach new people and help your fundraising efforts. 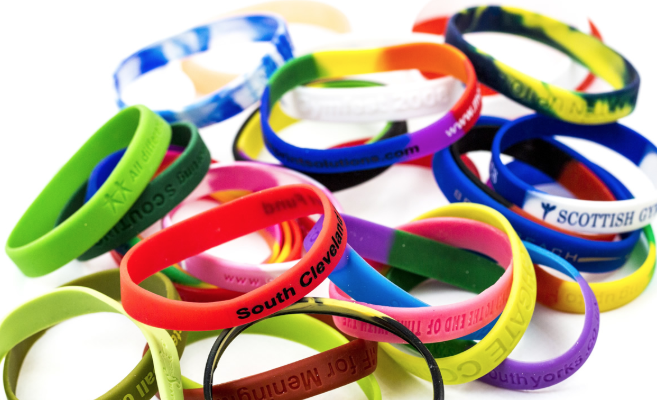 Personalised wristbands are a great way of promoting your charity as they have a high success rate and low cost. They can be personalised with your message and logo, meaning that they are attractive and those that wear them will remember your brand. They are also a great way for people to show their support in a highly-visible way, and unite supporters. Not only this, but wristbands are extremely durable meaning they will last a long time for many people to see, increasing your brand awareness. Mugs are great for large scale events. They are inexpensive, lightweight, and easy to print your logo, name and message. They can be given away and taken home by recipients, increasing your brand exposure as they will be seen by others too. Overall, fundraising merchandise is extremely effective as it allows you to increase your exposure and gain the all important funds for your cause in the long term. Contact our specialist team to discuss which promotional products would work best for your charity today. Businesses have advertising campaigns to allow them to grow and showcase their talents. Using promotional products and merchandise is a great way to move your advertising into the homes and workplaces of potential and existing customers and get them interested in your brand. Here are just a few advantages of promotional merchandise for your brand. Promotional products help you to reach a large number of people with a small budget and minimal effort. Additionally to this, it is cost effective in terms of impressions compared to other advertising processes, whilst also gaining more active interaction with consumers compared to magazine and tv. Statistics show that promotional products have a 50.7% success rate of a call to action. Promotional merchandise can create brand awareness and attract new clients – helping you to expand your business. Giving out promotional products means there are no limitations for target audience and puts your brand in hands of people who otherwise may not have chance to advertise to. They attract attention, making people more receptive to your business, logo and brand name, which is necessary for brand recognition and exposure. Businesses need to engage well with customers, and free gifts allow you to do this with large benefits. When you give something to a customer for free, they are more likely to become loyal to you, even after the gift giving has been completed. It is also a great way to start communication, a chance for you to build a relationship and ultimately a sale. Studies show that giving a gift to customers will increase their chance of purchasing from you in the future, instead of your competitors. Building strong connections will help your business in the long run, helping to build your brand presence and build trust with customers. Gifting products is a great communication starter as they are likely to listen to what you have to say. This means that they will then use word of mouth marketing, recommending to friends and family and thus bringing in more sales and revenue for your business. These products can be used in giveaways, which are used to attract customers who will remember your brand. This is also a great way to increase engagement as well as brand awareness, and great for the customer who wins the competition. It will bring your network together and allow you to find new people and target audiences, as it will bring together a variety of different people. Gifting products set the steps to build relations with an existing client, and shows that you are distinctive from your competitors. It will allow them to get passionate about your brand when emotions are triggered, strong levels of commitment which leads to strong customer retention. Providing personalised, tangible products is effective to keep potential customers interested in your brand. Adding new ideas and tools to your marketing mix creates fresh opportunities and allows you to increase brand exposure and awareness. Why not use some promotional merchandise to meet your marketing goals in 2019, allowing you to kick start the new year right. As 2018 draw to a close and Christmas is upon us, we would like to thank all of our new and existing customers for your continued support and business in 2018. 2018 has been a busy year for us at i4c Publicity, working with lots of different sectors and industries. We have been working with more schools than ever, who have been ordering bespoke award badges – a product which has been really big this year. We have also been working on high quality ties with matching scarves for our corporate clients, as well as name badges that have projected their brand in a professional and elegant manner. With sports seasons approaching, we have been working closely with rugby, football, cricket and golf clubs to create classic club ties. Along with this, we have increased our product ranges for our charity clients, we are now supplying personalised candles and fully branded counter top displays. These products go nicely with our always popular charity pin badges. Of course, we have also been busy designing and creating our core products for clients, including custom pin badges, key chains, medals, lanyards, wristbands, bespoke ties and scarves, we have also supplied sports bottles, mugs, umbrellas, pens, notebooks, bags and much more from our promotional range, at discounted prices. 2018 has been a big year for us, and we encourage you to look out for our new products that will be launching on our website from 2019.
i4c Publicity would like to wish you a very happy Christmas and New Year. Please note: i4c Publicity is closed from Monday 24th December, and will reopen on Wednesday 2nd January 2019. With the Chinese New Year nearly upon us, our factory will be closed from 28th January to 8th February 2019, therefore please place your orders in good time to avoid any delays. During this time we will be trading to normal business hours throughout this time therefore are happy to help with any of your requirements. With Christmas approaching, you may need to get badges printed quickly for gifts or for promotional events. Christmas badges are the ideal way to celebrate the festive season, as well as being great for gifts. Not only that, but they are great for charity events and corporate events – which come around at this time of year. Badges are a great way to get exposure for your brand, as well to give to your employees to wear to such events – helping brand awareness. We realise that you may have an influx of orders whilst approaching the Christmas Period, meaning that you need your badges delivered fast. To help with this, we now offer Express Printing in time for Christmas – with you in mind. 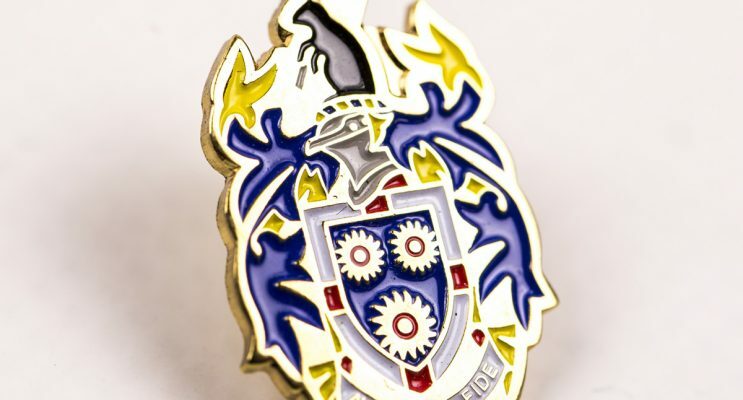 If you usually order enamel badges, printed badges may be a greater alternative, as they are a lot quicker to be delivered. This will cut 2 weeks of lead time, meaning that you can have your order for when you need it most. Delivery is usually 7-10 days, which allows you to get your stock quickly. However, if you need to meet a deadline, or need your delivery quicker, then please contact us and we will do our best to get your order completed quicker. You can also choose whether to have standard printed badges or bespoke cut to shape printed badges, both are great for all occasions. 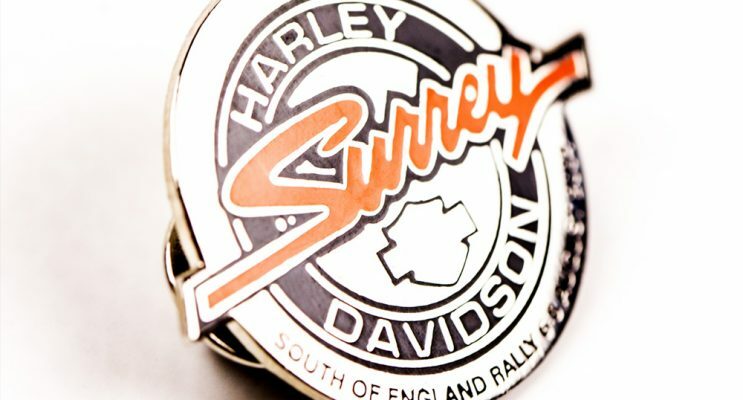 Although prices do vary for bespoke badges, they are a great way to make a statement for your brand. Whether you need badges for corporate events for your workforce, or for individual customers, we offer the perfect solution by providing quick lead times and delivery times. Order your badges today, or contact us for more information. 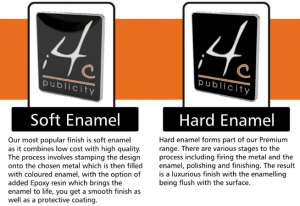 Here at i4c Publicity, we offer many types of badges, including soft enamel and hard enamel lapel pins. 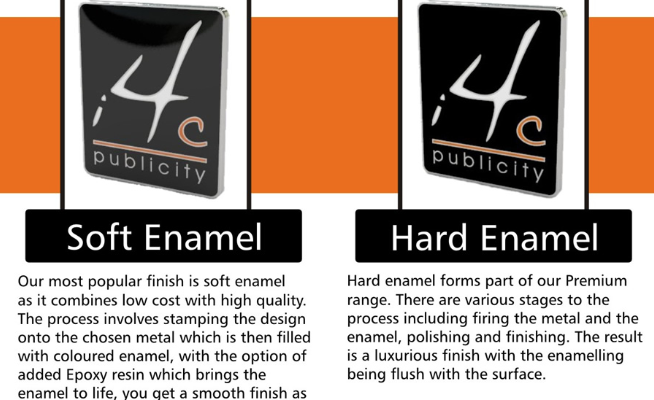 But one of the most common questions we get asked is: What’s the difference between hard and soft enamel? And what’s more, which should you choose? Here’s everything you need to know. Soft enamel pins are more cost-effective and versatile. Despite their name, they are raised and recessed – and lend a precise and polished look. Soft enamel pins are stamped into gold or nickel, where the enamel is added in the recessed area and put through ovens to make this hard. Unlike Soft enamel, with hard enamel pins the enamel is added before the plating is added. This means that it is polished flat to the same level as the metal die lines, giving them a flat, smooth surface. Hard enamel pins can creare slightly less detail than soft enamel, also meaning that the outlines may be thicker than in the design. With Christmas approaching, there will be an influx of Black Tie events, whether that be a Christmas Works Party, Client Meetings or Dinners. Cufflinks are a great way to finish your look and add style to your wardrobe. 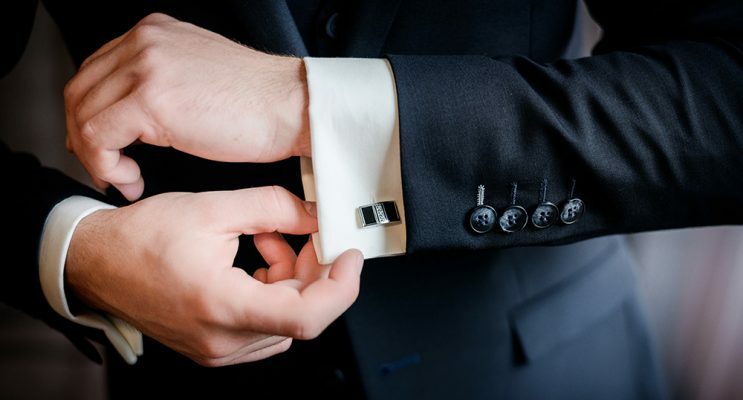 To fasten a cuff, the holes on both sides are lined up, and cufflink inserted all the way through so that the link is set in its closed position. The decorative part of the cufflink should outside when the arm is at your side. On the backside of the cuff, flip the bar to hold it in place. Tie pins are a great way to ensure your tie stays straight and looks professional. There are a variety of styles that you can buy, each for different occasions. Always ensure that your tie pin fits in between the third and fourth button of your shirt. Also ensure that it does not go over the width of the tie, ideally finishing in the middle of the tie. Pocket squares are a great way to add some personality to your suit. These should compliment your shirt and tie – but never match them exactly. These should be worn in your suit pocket, never your shirt pocket. Square or Straight: This is the most popular and easiest way to wear a pocket square. This is also a very professional addition to your work suit, giving you an air of elegance. Simply fold in half, and bring the bottom upwards, in thirds horizontally. One Corner/Tip: This suits any type of dress code and is great for all occasions. Simply fold in half in a diamond shape, then bring each corner inwards, and the bottom towards the top. Two Tip/Peak: This is a more unique way to wear a pocket square, and is great with patterned fabrics. Follow the ‘One Corner’ instructions, but bring the points slightly to the side – making a peak. Puff: This is a great way to convey a relaxed approach, and works well with silk or wool. Simply pinch the middle of the fabric, and gracefully gather up the bottom of the pocket square. Adding extras to your outfit is a great way to express your style, whilst staying professional and elegant. What’s more, customised cufflinks and pocket squares for your company or association are effective and show off your brand in a stylish way. We make and supply tie slides, cufflinks and pocket squares which are perfect for any occasion, and if you order now you can get in time for your Christmas celebrations.